London, 27th September 2018 – Neopost Shipping, a leading global supply chain technology solutions provider welcomed a new e-commerce retail customer for its CVP-500 solution in the United Kingdom, Internet Fusion Group (IFG). 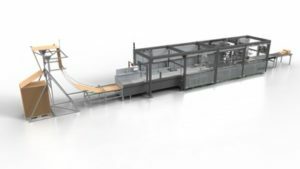 The CVP-500, an automated packing system, was selected by IFG to support its goal for strategic sustainability. The speed and sustainability of the CVP-500 was crucial for entering into collaboration with Neopost. Martin Brailsford – CEO Internet Fusion Ltd: “As soon as I became aware of the CVP-500 machine, it was something I knew we had to have at the heart of our warehouse process as we strive to become one of the world’s most sustainable e-commerce companies. Our dynamic operations team and agile systems integrated the machines quickly and without disruption, making an environmental difference from the moment we started processing orders. Where we lead the way, we expect others to follow, it’s not about gaining a competitive advantage it’s about doing what is right”. Richard Nijboer, Head of Sales & Operations Europe at Neopost Shipping said, “We’re proud to support Internet Fusion on their sustainability journey. 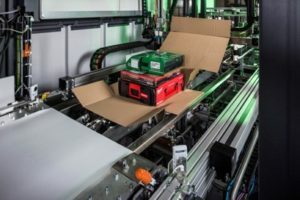 We knew that CVP-500 was the perfect fit for their green logistics goal, and a viable alternative to manual packing with time, cost and environmental benefits. 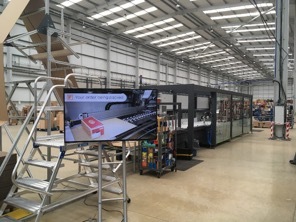 “The CVP-500 solutions were successfully installed in August 2018 at IFG’s warehouse in Kettering, UK, and have produced over 50.000 fit to size parcels in its first month of operation,” said Nijboer. CVP-500 is used by leading e-commerce retailers around the world such as Cdiscount in France, CEVA Logistics in the Netherlands, and Mason Companies in United States.